Dr. P. Mallikarjuna Reddy has completed his A.M.I.E. in Mechanical Engineering in 1986 from The Institution of Engineers (INDIA), Kolkata. He completed his M.E. 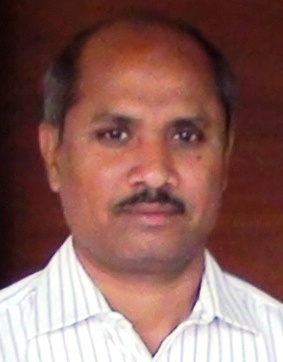 (R & A/c) in 1991 from Coimbatore Institute of Technology, Coimbatore and obtained his PhD from JNTU, Hyderabad in 2006. He has 40 publications to his credit in various National and International Journals and Conferences. He has attended 19 Short Term Programs at different colleges across the country. He has attended three days “Mission10X Academic Leadership Workshop” organized by WIPRO Technologies at Hyderabad from June 27th – 29th 2011. Guided 2 Research scholars and presently he is guiding 1 PhD scholar. He is Life member of Indian Society for Technical Education, Indian Society of Heat and Mass Transfer, Indian Society of Mechanical Engineers, International Association of Engineers (IAENG), Kurnool District Technical Forum and Fellow of Institution of Engineers (INDIA). He is the recipient of “Eminent Educationist Award – 2011” from International Institute of Education and Management, New Delhi. His Research Interests are Heat Transfer, I.C. Engines, Refrigeration & Air-Conditioning, CFD and Renewable Energies. Greetings from SVR Engineering College, Nandyal. Engineering is a human activity aimed at creating new artifacts, algorithms, processes and systems that serve humans. An engineer seeks to create what never did exist. It is a privilege in any one’s career to embark on engineering education. At SVR Engineering College (SVREC), our vision is “To produce Competent Engineering Graduates with a strong base of Technical Knowledge and the Complementary Skills needed to be Successful Professional Engineers”. SVREC is committed to provide students with a strong, broad based fundamental engineering education and prepare the students for careers in industry, teaching and other research organizations. I personally look forward to integrate my experience over the years in teaching into the learning systems and direct the collective efforts of the faculty at the college to build a comprehensive methodology that encompasses all that matters for nurturing the minds of our students. I look forward for preparing my students to face the challenges, the technology and engineering sector would offer in the future and succeed in offering technology solutions for the betterment of the society and our nation. It gives me immense pleasure to welcome all those who aspire to have a career in Engineering and Technology.